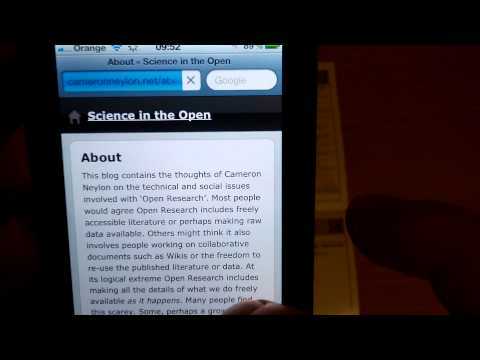 There are two fantastic ways you can use your smartphone at Open Repositories this week! 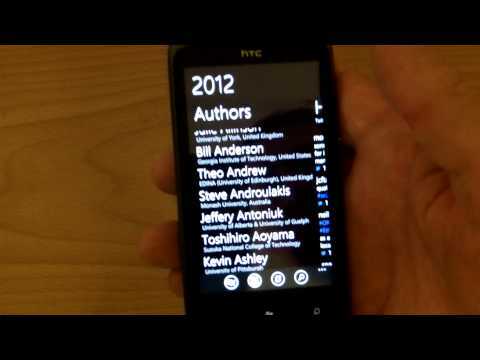 Microsoft Research have put together a great little Windows Phone 7 app for frequent conference goers and throwers: My Conference. It pulls in conference information and puts it into a convenient, dare I say attractive, interface. Browse events, tunnel deeper to learn about the delegates, and read what they’ve submitted to earn a slot at the conference. You can also see their other publications via Microsoft Academic Search. And what would any conference app be without a quick game of Guess Who? Here’s a little walkthrough and showoff video using the OR2012 programme. You’ll probably see a bunch of pixelated little squares around the conference’s paper programme. You should put those QR codes to use, linking to equivalent pages online and freeing all that information from your printout. You can also use our custom map and read abstracts this way. Watch the video to find out how.